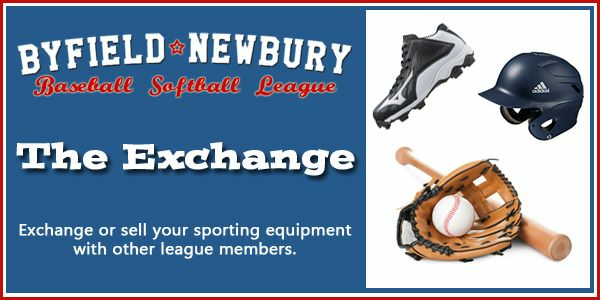 New to our league website is The Exchange. Think of The Exchange as a virtual swap meet for sporting equipment. Just post your item and include what you're looking for in exchange as part of the item description. Like any swap meet the goal is to help keep YOUR costs down by enabling you to get some second hand equipment or maybe you just want to clear out some of that equipment your growing player used just once in a previous season. The Exchange is intended for the sale/exchange of sporting equipment / gear between community members. BNBSL makes no representation or endorsement of equipment or gear posted.